Have a question for Garden Plaza Hotel? 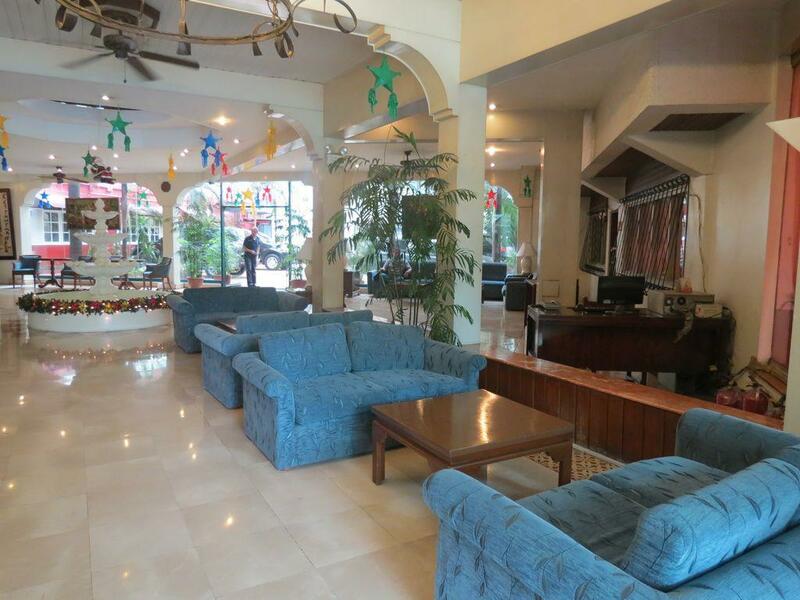 The 3-star Garden Plaza Hotel is located in a peaceful neighborhood, with Paco Park - Manila’s most unique landmark - practically at its doorstep. Manila’s thriving tourist belt is also accessible, so travelers can enjoy all the shopping, dining, and entertainment Manila has to offer before retreating to this tranquil, 105-room hotel which is famous for its spectacular views of the sunset by the bay and its restaurants. The hotel is also famous for the Old Swiss Inn Restaurant, which has served authentic Swiss cuisine since the 1940s. Other features include a rooftop pool overlooking the Paco Park. I really enjoyed my couple of days at the Garden Plaza. Hotel is old with large rooms ... It also has a small pool on the roof top. 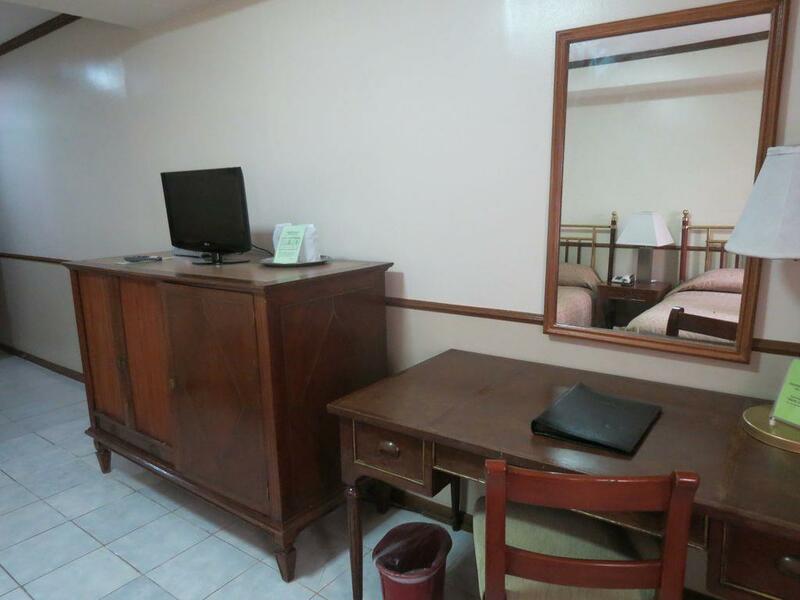 Hotel is situated in a quite area however close enough to walk to the malls etc at Malate.Staff were excellent ... Would highly recommend this somewhat unusual hotel particularly those on a budget. paco church/park is very nice with large acacia trees and old walls with a foot path. theres a swimming pool. The room has no windows and no balcony so right there is a guarantee I would never return. Paco church/park across the road is really nice and there is a tiny rooftop pool that's nice. Staff are crappy. Didnt clean our room even with their please clean sign. There is a very expensive swiss? Restaurant downstairs that I didnt bother trying. I booked this hotel for my girlfriend to stay at passing through. So this hotel does allow a 3rd party like myself to book for them. From her, I found she and her son enjoyed the hotel. The bed was quite comfortable and they were happy with the room size. However, the location of the hotel was not ideal as they got lost walking from Robinsons back to the hotel. The area is a bit shady and not the most honest people in the area, so she was afraid to ask strangers. I don't blame her. Shady area and a bit confusing in the dark walking from Robinsons. However, good value for the price. This hotel is also suitable for young kids as my gf brought her 4 year old year with her. Booked for last night before flying out. Security or some other employee thought it was a good idea to have a loud conversation with a fellow guest at 3 in the morning, in the corridor. I seriously feel sorry for the 2 guys on reception. They deserve to work somewhere better than this halfway House. The Corridors have a strange and very strong smell. The rooms are tired. Rooms booked for Wedding guests. The rooms are clean but tired. Little know fact: The hotel restaurant has only 2 tea pots. One for people dining in and 1 for room service. Also they won't change money unless you buy something. Picked as close to Paco park where we had our wedding reception. The Hotel needs some updating. Apart from the 2 Guys on reception and the bell boys the rest of the staff are pretty useless. There is a strange smell in the corridors and always plenty of locals lounging around in the common area's. This hotel is not well located. Going out at night is dangerous. Very quiet surrounding at night. The park is next to the hotel. Getting around is not conviencent. Either take a motor tricycle or BMX bicycle cab. The hotel try to charge me 150 peso for using the internet when the internet cafe is only charging 20 peso. Of course i decline. It was a good experience. We didn't use the pool and we didn't eat at the Old Swiss Inn, but we liked the way the staff responded to our requests. Just let them know what you want and they'll do their best to provide. The food at The Old Swiss Inn restaurant is great...and the staff does their best to provide special requests of the guest. its a short walk from the main road and a mall, farther away is the luneta park, however i would not recommend walking specially after dark. There is only one restaurant, pricey and looking like it has seen better days. There is a night club also on the lower end in terms of clientele. The pool is a little larger than a jacuzzi. The staff was excellent and so helpful. Everything was available that i needed and if it was not then they told me and helped me as to acquire it. I thought the hotel for the money was great and the staff was excellent and very helpful. I would stay there again in a second, but i was not sure where to stay since first time in manilla. If i had my way i would be in the center of everything so i could just walk everywhere and not have to mess with the taxi's and jeepney's. They are very good and effecient but with a bad back hopping in and out of the jeepney's often is not too good, and that is when they are full and you have to crawl up to the front of them. Overall stay was great and i thought the place and the staff was as good as they get and the price was exceptional. this is not my first stay in the hotel. I visited my son late 2008 during his nursing affiliation duty. The place looked so cozy and friendly, and was located in a very serene environment... a place like your second home. This is why i came back. I will always stay in this place when chances permit. professional staff, very clean, good price for the economy traveler. could not control temperature of AC in the room. The hotel staff was very friendly and professional during my stay. The room was very clean and comfortable. The house keeping staff was very friendly and professional. I had a couple of issues with the room and when i brought them to the hotel staff they corrected them right away. I brought a camera with me and the hotel loaned me a transformer for the room so i could charge the battery of the camera because local power is 220v. The hotel restaurant is very nice and friendly but they charge american prices for their meals. Please go to Country Inns and Suites and check out what a continental breakfast is. I believe this Hotel could do alot better in internet descrption when it is claimed that complimentary breakfast is offered and only serves bread and coffee (as a combat veteran our prisoners recieve better hospitality. It would be in the best interest of Garden Plaza not to even offer anything and delete their claim in the internet. I was very content with my usual stay at the Garden Plaza. My wife I have always enjoyed going to this Hotel because it is usually quiet even though there is a Fire Department close by. 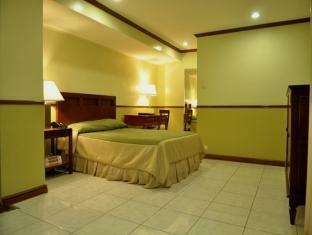 We also enjoy the area where it is located and the comfort it offers with a professional atmosphere. This year I noticed Garden Plaza offered complimentary breakfast to their guests. Sad to say this does not even qualify as continental. I stress that this false claim of compimentary breakfast statement be stricten from the internet. As a Combat Veteran I know our prisoners were treated better than only having a roll and coffee. Near attractions place in the old Manila. Breakfast is not good, very expensive. I like this place because it is near the park and it is located in the old city. The places around is very beautiful and very easy for us to travel. People are very hospitable. They rendered good service. The only positive feedback on this dump was that the security personnel act as bell boys. All rooms are smoking, and the hotel is actually an apartel/hotel. People drinking beer and loud music in the upstairs lobbies are a norm, and they leave their doors open, have a peek, its free. The wifi didnt work at all, and the supposed DSL lobby connection was at times slower than dial-up, and they charge you for the time used even if it doesnt work while you are on it. The rooms are big, but expect cockroaches, they come in abundance. Entrance pictures listed on net are misleading. Breakfast is always one hour late, so if you have an early flight, forget it, choose a primarily toast with small coffee 1 hr late or flight on time, We chose flight. Very poor customer service, and at times - discriminatory. I would recommend the Pearl Manila to be last choice, and would stay in the airport lobby rather than this garbage again.